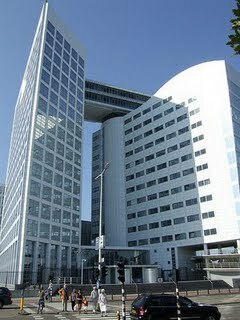 Notwithstanding the rapprochement between the United States and the International Criminal Court set out in yesterday's post, domestic legislation dating from the Bush Administration prohibits most forms of U.S. cooperation with the Court absent specific waivers or other contingencies. The legislation in question is the remnants of the American Service-Members' Protection Act of 2002 (ASPA). The ASPA—enacted a month after the Rome Statute of the ICC entered into force—is a product of the initial hostility of the Bush Administration toward the Court, as symbolized by the May 6, 2002, retraction of the United States’ signature on the Rome Treaty. In its original incarnations, the ASPA contained a number of provisions aimed at limiting both U.S. involvement with the Court and the exposure of U.S. or allied citizens to prosecution before the Court. In particular, much of the original ASPA was geared toward intimidating potential ICC states parties by threatening to withhold various forms of international aid unless they entered into an Article 98 agreement not to transfer U.S. citizens to the Court. For a list of extant Article 98 treaties, see here. The Bush Administration’s second term witnessed a moderation in attitude toward the Court. In keeping with this evolution, the ASPA’s punitive provisions began to be significantly dismantled, by either congressional repeal or non-renewal, starting in 2006.
assisting in the extradition of any person to the Court (§§ 7423(b)-(f)). no U.S. court or state or local governmental entity may respond to requests for cooperation from the Court (§ 7423(b)). assistance of any kind, including financial support, transfer of property or other material support, services, intelligence sharing, law enforcement cooperation, the training or detail of personnel, and the arrest or detention of individuals (§ 7432(12)). The result of these provisions is that the Court is deprived not only of U.S. support and assistance, but also of U.S. training and expertise. Under certain circumstances, the President is entitled to waive the provisions barring cooperation and the transfer of information to the Court (§ 7422(c)). 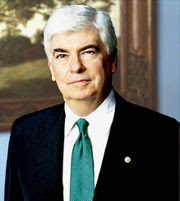 thanks to an amendment proposed by Senator Christopher Dodd (D-CT) (§ 7433) (right). It is unclear to what extent the Dodd Amendment trumps other more restrictive elements of this legislation. Given that the coercive aspects of the ASPA are no longer in force, repealing or scaling back the anti-cooperation aspects of the ASPA should be a high priority for the Obama Administration. The most effectual fix would be the repeal of § 7423 of the ASPA, which prohibits a number of forms of cooperation and support. This would enable the United States to choose from a range of ways to cooperate with the Court—entirely at its discretion and when it is in its interests to do so. Congress could also tinker with specific parts of § 7423. In particular, the limitations on cooperating with ICC investigations or transferring suspects to the Court could be removed in the case of non-U.S. nationals (so-called covered allied persons in § 7432(3)) and—more controversially—in the cases of individuals who are not members of the U.S. armed forces or elected/appointed government officials (i.e., “other persons employed by or working on behalf of the United States Government” (§7432 (4)). “Support” could be more narrowly defined to exclude the provision of in-kind assistance, such as training, intelligence or collaboration in law enforcement (§7432(12)). Congress could also permit the ICC to conduct investigations within the United States (§ 7423(h)). Similarly, Congress at a minimum could redraft § 7425 to allow for the sharing of law enforcement information for the purpose of facilitating the investigation of ICC crimes, the apprehension of fugitives, and the prosecution of defendants. The ban on the sharing of classified information could remain in place subject to the waiver provisions. Finally, the waiver provisions in § 7422(c) could be liberalized and delinked from the requirement that there also be a waiver in the peacekeeping context. A risk inherent to seeking legislative reform is that it may result in the return of ASPA’s more restrictive provisions, or a weakening of the modus vivendi provided by the Dodd Amendment. Accordingly, so the timing of any such effort should be carefully considered to ensure Congress’s receptivity to cooperating with the Court. If the United States is to best position itself to use all international tools available to it to advance our interests in responding effectively to the commission of international crimes, ASPA should be significantly scaled back so that the United States can work with the Court to both promote the United States’ foreign policy agenda and support the mission of the Court.